The Emergency Dialer allows you to call for help during emergency. 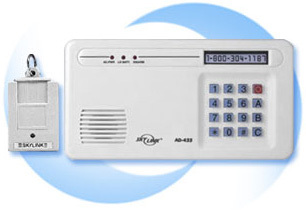 If the dialer is used in conjunction with the security system, it works as a monitoring center. You can preset up to 9 telephone numbers. In case of an emergency, i.e. 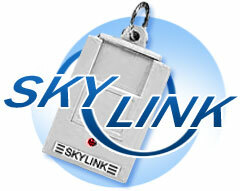 someone breaks into your house, your Skylink Security System will trigger the dialer and start dialing the preset phone numbers and play a pre-recorded message to call for help. Or use this dialer as a stand-alone product for the elderly, disabled, hospitals, and senior centers etc. During an emergency, activate the dialer by pressing the waterproof Panic Transmitter. Two way communication, 3 Direct Access Phone numbers for Speakerphone. Remote receives phone calls and dials out direct access phone numbers by a press of a button. 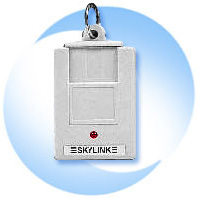 Sends an Emergency Voice Message to: Pagers, Cellular Phones, Offices, Authorities, Relatives, Friends… Ideal For: Assistance, Protection & Security or anywhere that requires immediate emergency notification. The world's smallest panic remote. 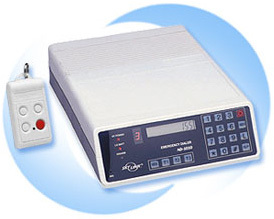 Activates the emergency dialer alert unit (AD433) or control panel (AD1010) and can be used as a medical alert or a silent alarm. Protective slide cover built into the case to prevent accidental activation and false alarms.